In a strategic shift, militants are now turning their attention to a relatively-quieter Srinagar city, the summer capital of the state of Jammu and Kashmir. Srinagar has largely remained militancy free till now as renewed face of insurgency remained confined to south Kashmir. A district-wise mapping of militants prepared by the Jammu and Kashmir Police, accessed by Firstpost, revealed that Srinagar district alone is home to more than two dozen militants now. So, when two militants appeared in front of a bank ATM, adjacent to the main gate of the Delhi Public School at Pantha Chowk on the outskirts of Srinagar and fired a volley of bullets at a CRPF vehicle, killing an officer and injuring two others, on Saturday evening it hardly surprised the security establishment. After the firing, a large contingent of police, CRPF and the army arrived in the area, a highly fortified zone barely few hundred meters away from the Army's 15 Corps headquarters. 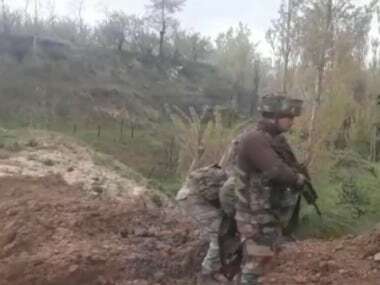 During the search operation, sources told Firstpost, security forces were told by the staff of the school that two militants were in one of the buildings. The tip-off proved right. The school was immediately cordoned off but no contact was established with the suspects. After the night-long siege, the firing and sounds of shells started resonating in the area till pre-dawn. On Sunday, the gun battle entered its second day, as forces fired intermittently at the building trying to find the exact location of the hiding militants. 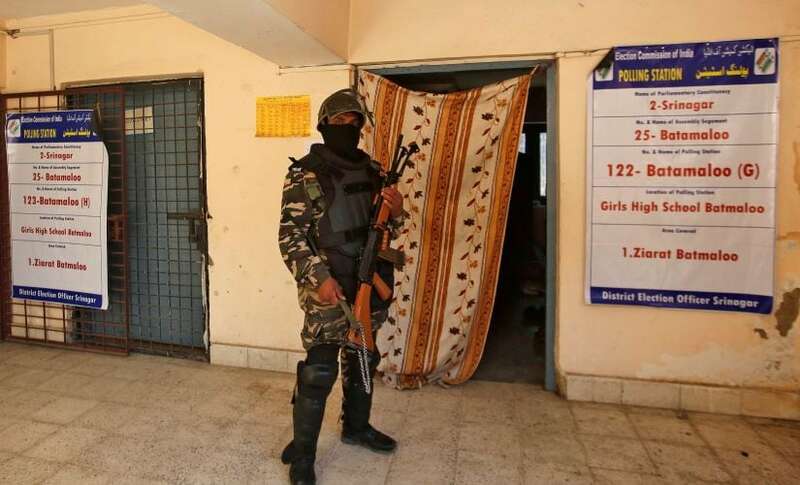 By afternoon, both the militants were cornered in one of the rooms of the school and killed. A police official said security forces launched full-fledged offensive to flush out the militants on Sunday morning. The 17-hour gun battle was an indication that militants are taking the battle from south Kashmir to the capital city Srinagar. 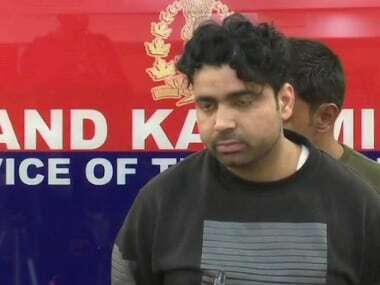 Sources in security agencies said it was a well-planned strategy by militants to prolong the encounter by taking refuge inside the Delhi Public School, which has a sprawling campus of more than 400 rooms and over five building, police officials said. “It seemed the intention was to take refugee in high-rise, like the EDI complex where militants took refugee twice, to prolong the gunfight and get maximum attention,” a senior police officer at the site of the encounter, said. On Sunday, two militants were killed and three para commandos were injured while leading the operation. The attack triggered a serious crisis on the highway forcing its closure for many hours on Saturday and Sunday, one day before the Muslim festival of Eid begins in the Valley. 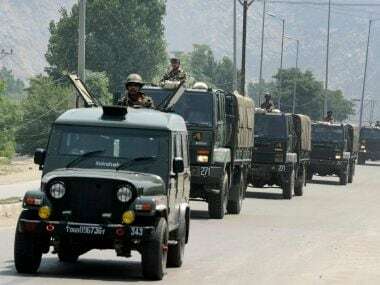 The fresh attack in Srinagar has only confirmed intelligence reports that militants are trying to launch a major attack in Srinagar for a long time, but the strict security arrangements at the national highway perhaps prevented such an attack. Given the increase in number of active militants, such an attack can't be ruled out in immediate future. The date about the presence of militants in Srinagar city with Kashmir police revels that Srinagar, which were zero-militancy districts till 2015, have more then two dozen militants out of which 11 locals have joined after a unrest an began last year following the killing of a militant commander. “There is a likelihood of militants lunching more attacks in coming days. 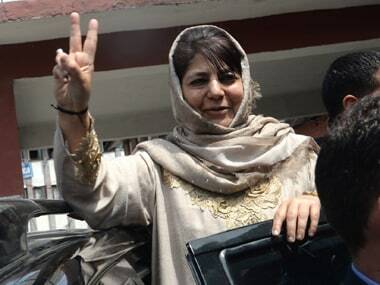 This will done to attract more,” another police officer in Srinagar said. Last year in October, before the militants launched second attack in one year, from the same location in Sempora, militants had been trying to enter Srinagar city to carry out attacks but were forced to retreat after noticing frisking and checking of vehicles at all the entry and exit points of the city. However, they did manage to gain entry into Jammu and Kashmir Entrepreneurship Development Institute (EDI) in Sempora twice during last year, but by roving a boat across Jhelum river. Both the attacks proved costly for the state as well as the security forces. Intelligence agencies here have been long been apprehensive of hit and run style attack by militants on the National Highway between Pampore to Panth Chowk. The highway is a place where militants can strike and disappear easily. It is also an attention grabbing place since the vehicular movement comes to a halt due to any disturbance. "It is impossible to keep vigil all along the 302 km long highway from Srinagar to Jammu. We have identified vulnerable stretches where vigil is mounted 24x7 so as to thwart any militant attack. It was due to our alert troopers that the militants were surrounded and killed," a senior Army official said.